Digital Marketing usually means the efforts for marketing via any digital device along with an internet. Almost all the business depends heavily upon the exploitation of the digital channels such as search engines, social media and via email. 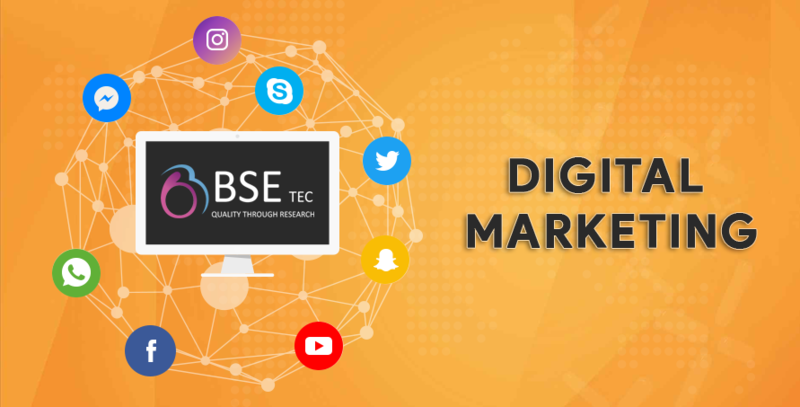 Digital Marketing is all about forming tactics for the digital platforms and creating a marketing campaign to achieve the goals of a successful digital marketing. One of the major inclusions in the campaign plan of digital marketing is blogging. Blogs, in 1990’s was more like a personal diary where people used to project all their daily happenings. Initially only people who had a tech background could write a blog since it required setting up an exclusive website for blogs, it then later evolved with the birth of WordPress and Blogger. That’s how blogs became common among people who didn’t have a technical knowledge. Today, anybody can create a blog and use it in any way they want to. How to write a great blog? Know the pulse of your audience and customize the blog’s content according to it. Use the keywords provided by the SEO Analyst or do a thorough research on usage of specific keywords that would drive more traffic to your content. Make your blog scannable. An avid reader would scan and skim the entire content before actually stepping into line-by-line reading of the content. Do not provide hidden meanings to the contents of your blog. Where to post your blog? So you’ve done with writing an awesome blog. Now your mind strikes up the question of where I should post my awesome blog. We got you covered. Here are some of the most prominent websites which provides your blog the kind of attention you’d need. Use these websites to post your blog and receive more views and drive up your SEO and achieve your goal by posting an awesome blog. Happy blogging !